WYCE, GRTV, our Education Department, our IT department for non-profits, Wealthy Theatre and The Rapidian are all hosting events this summer to help engage you in making and enjoying media. It's summertime and there's lots to do at the CMC! This summer has been an exciting time at GRTV and the Education Department! 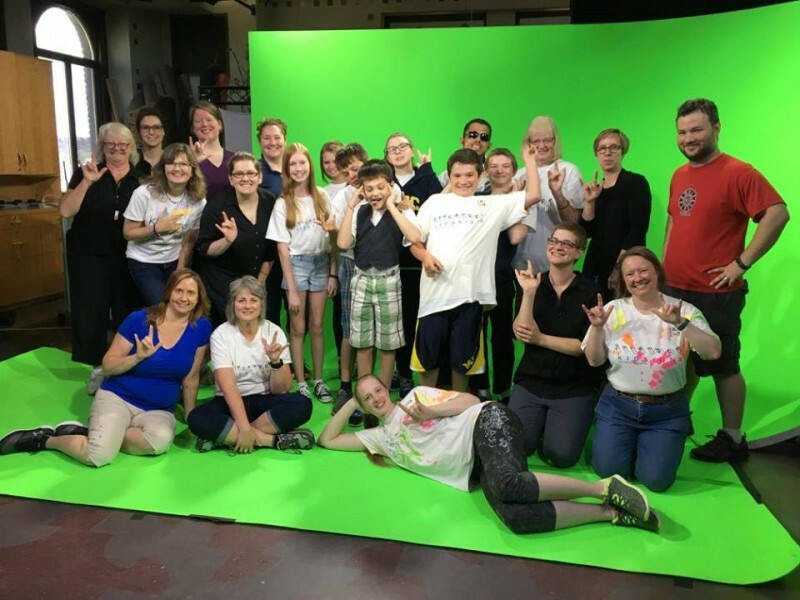 Recently students from the Deaf and Hard of Hearing School (DHHS) joined us at 711 Bridge Street in the GRTV studio to create a fantastic music video set to “Can’t Stop the Feeling” as sung by Justin Timberlake. The kids and their families and instructors had a blast as they worked together to do all parts of the music video production, from story boarding, to utilizing the video equipment, and editing the final cut! The students wanted to show that they enjoy music too! Feeling the music is an important part of enjoying the music, and that feeling transcends ability levels. Enjoy this wonderful music video and photos from the exciting day in the studio. On July 28th WYCE 88.1fm and the CMC will be hosting a Blood Drive with Michigan Blood! From 1 p.m. to 7 p.m. at the St. James Catholic Church Family Center (right next door to our 711 Bridge location) WYCE/CMC listeners and supports can help make a difference in the life of someone in need of life-saving blood! Sign up here. Looking ahead, The Rapidian will be offering something new this summer: Drop-In Work Hours at Avenue for the Arts. Do you have a question about how to get started writing for The Rapidian? Do you want feedback on in your story? Stop by Avenue for the Arts from 9:30 a.m. to 3 p.m. on July 18 to co-work with The Rapidian! For more event info, check out wealthytheatre.org. The non-profit video production services department is currently booking projects for the fall. "Community Media Services, or CMS, is a division of GRTV that specializes in creating quality video productions of all types exclusively for nonprofits, at a cost that is substantially lower than commercial production companies. Community Media Services was added to GRTV in 1998 to provide member organizations of the Community Media Center with a quicker, cost-effective alternative for those who didn't want to take the time to become a 'do-it yourselfer,' learning how to produce professional quality presentations. Since inception, CMS staff have taken on a wide variety of projects, from simple single camera event recordings to complex multi-camera productions and long form documentaries." More information on the CMC's non-profit IT department can be found here and here.